Well this is the Iceman’s first time training down in South Carolina and it has been a rewarding experience. We are based in a valley at Rocky Bottom, and trust me it is at the bottom of a huge river valley! 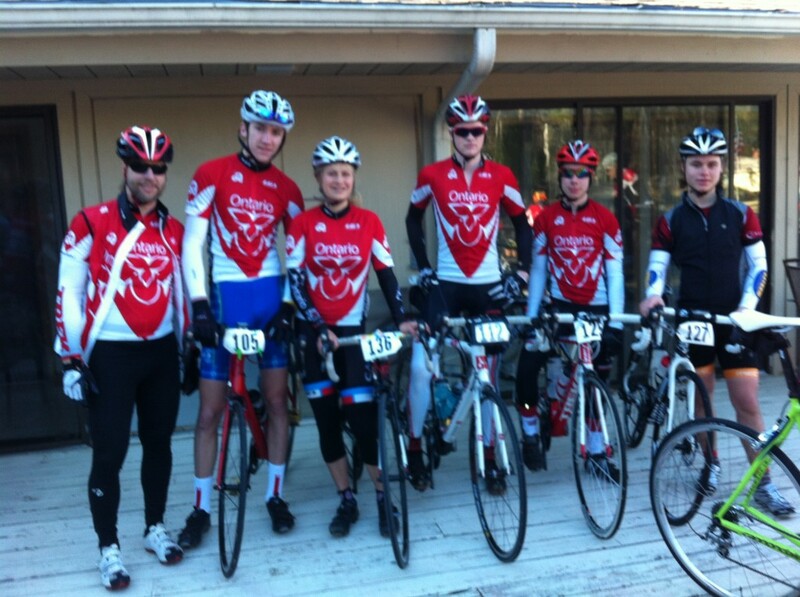 Our first group ride of 45k provided a great introduction to the rolling terrain of South Carolina. The sun was out and gave us 18 gorgeous degrees with no wind, my first outside ride without snow this year! 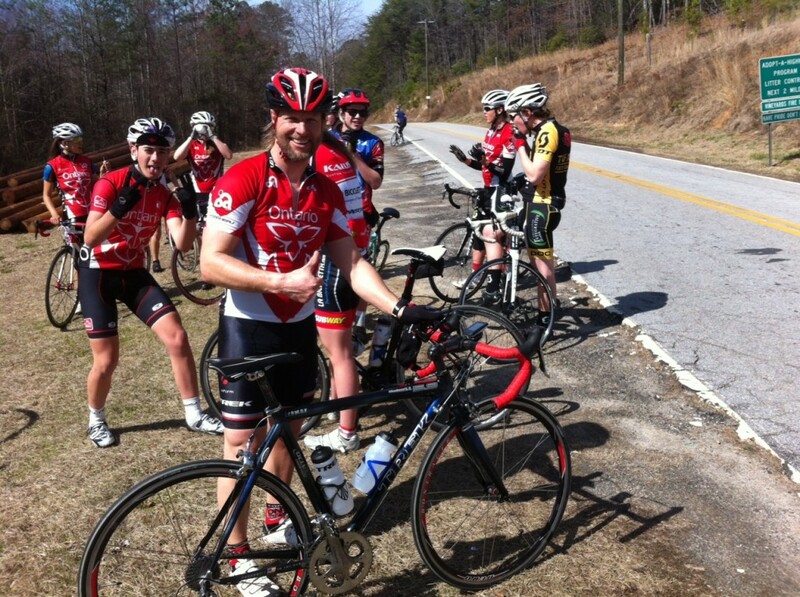 First warm-up ride – Getting acquainted with the rolling terrain of South Carolina! Day 2 involved the team splitting up into age groups to work on echeloning. I decided to join the cadet age group and relished in a few 10 minute, 45-50kph efforts along a relatively flat quiet road near Table Rock. We cruised for over 80km before climbing back to camp on weary legs by Sketchy Bob’s. I was beginning to feel the legs. Day 3 began with cooler temperatures as we climbed north out of the valley towards North Carolina. 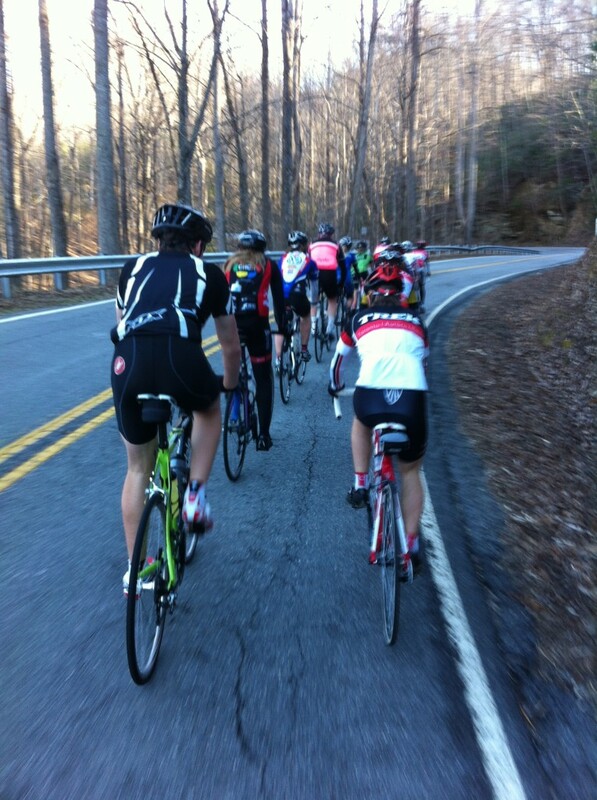 We again split up into four groups, with my group pacing towards 4 hours in the saddle with some good climbing. We passed thru some beautiful valleys on Macedonia and Silversteen road with temps again cresting 20+ degrees. In the final hour we crossed the Eastern Continental divide at 2200 ft on our final fast descent back to Camp. On Day 4 we were in for a treat, an easy 30k spin to the infamous Caesars Head climb. An annual 10km TT to an amazing lookout over South Carolina. Feeling a little sore I paced the first 2k knowing the steepness that awaited me near the top. In the middle of the climb a flat section re-energized my legs, my Garmin was displaying speed but my HR was not registering; I knew I was redlining but carried it to the top in just over 38min. It was great driving back down in the team van to now start the team riders who had spun an easy trip up Caesars and were now back at the bottom for their chance at taming this summit at threshold. 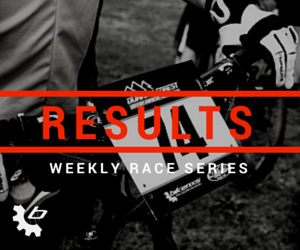 Bikenxs riders faired well with many snowshoe king summits in their legs! 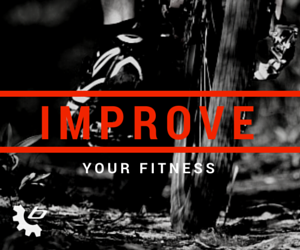 Bryan Meyers ripped up Caesars Head in 32min and change and Malcolm Barton rocked 35 min. Liam Mulcahy sandwiched between those times, with the Icicle cruising up in 39min on a heart rate limit. Haley Golding bested her last years time by 5min, reaching the summit in 43 min. Afterwards we spun back to our camp through various routes. I decided to tackle one more summit in Sassafras mountain. A tough 3k from the back side, but avoiding 4k of grinding climbs from camp. I reached the summit on reserve fuel (Eload gels!) and enjoyed a warm hazy view while stretching out once more. The descent back to camp was a sonic speed 70k plus twisting 5km road. We’re now enjoying a much deserved rest day with yoga and food shopping, with another long ride just around the corner. We’ll try our best to bring some warm sun and heat back to Ontario next week!